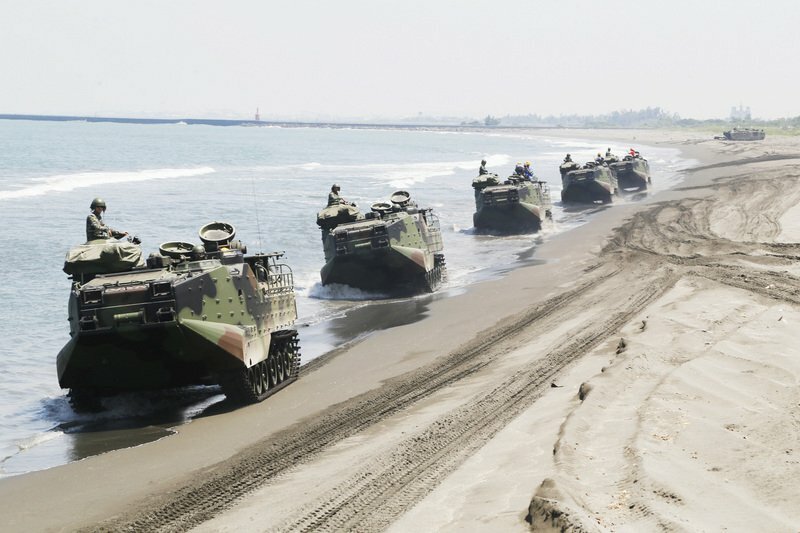 The U.S. has set aside 36 Amphibious Assault Vehicles (AAV-7) from its reserve inventory of vehicles to ship to Taiwan to bring the total fleet of the armored troop carriers to 90, reported Liberty Times. The vehicles which have been set aside are currently in storage, but they have been completely refurbished with new engines, transmissions and components. The U.S. military has already ordered the necessary components and made plans for the handover of the vehicles. The Taiwan military currently has 54 AAV-7s in service, with the Navy primarily using them for combat and disaster relief. In 2015, Congress approved the sale of 36 additional vehicles and the official contract for the sale was signed in June of 2016. The additional amphibious combat carriers are expected to be shipped to Taiwan in batches from 2020 to 2021. The original price of the package was NT$5.32 billion (US$178.43 million), but by the time the formal contract was signed by the two sides, the price had risen to NT$5.81 billion as the Taiwan dollar had weakened over that period. I wonder how many AAVs we have in storage now. The numbers have always been a bit flakey because of how the modernization has been conducted. Each improvement cycle has always neglected a certain portion of the vehicles and although the numbers on the net have always stated over 1000 the reality is that its probably closer to half that EXCLUDING gifts to nations worldwide. Wartime stocks are starting to gain more and more of my attention. Do we have enough vehicles to maintain our AAV Battalions in case of wartime attrition? All I can do is hope that someone has done the math. We all lack visibility so all we can do is guess.